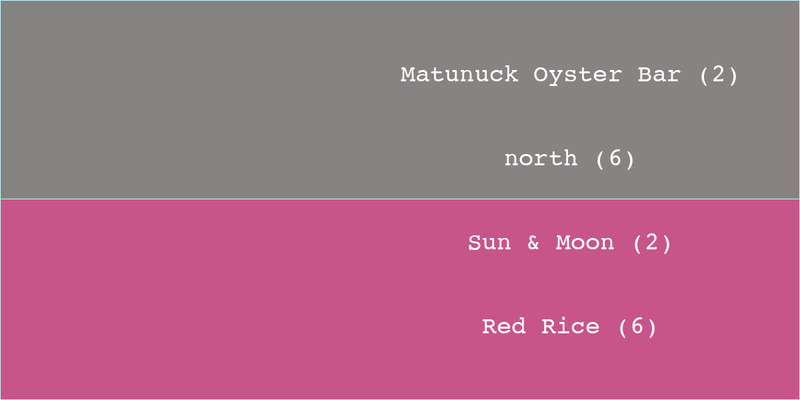 Matunuck Oyster Bar is one of the highest-ranked restaurants in the whole competition, but they really flamed out when matched against north. Providence beats South Kingstown by a margin of 13:2. Their Sweet 16 match will be against either Mission or nicks on broadway. Sun & Moon is proving to be a real competitor, too. They snagged 77% of the votes against Warwick’s Red Rice, and advance to the Sweet 16 where they’ll face either Ebisu or Kings Garden.